You're sure of a great big bang with our own Big Bang Balloon Castle! 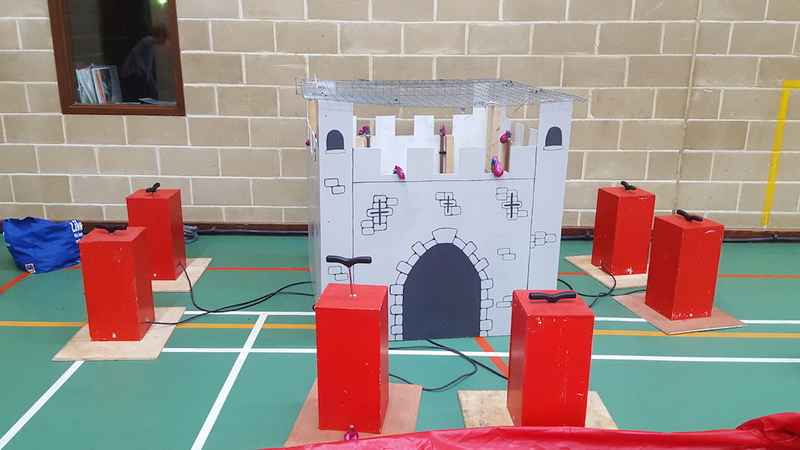 Surround the castle walls with your TNT detonator boxes and blow up the defenders!! Well, blow up the balloons that are hiding behind the walls actually! You can play as a race - 8 participants at a time or you can play as a team - the team that bursts all 8 of their balloons in the quickest time is our winner! It's noisy, it's great fun and you'll have to work hard to blow up your balloon so it's good exercise too! Suitable for all ages - but not those of a nervous disposition! The Balloon Castle can be set up indoors or out. The Zorb Zone covers events throughout the UK and the Isle of Man and carries full Public Liability Insurance.